There is simply nothing quite like Mandina. Located in the heart of Makasutu Forest, yet only 40 minutes from coastal resorts, guests here are able to disconnect from everyday life and instead connect with the surrounding nature, which includes monkeys, baboons and reptiles, as well as a vast array of birdlife. Such are the unique and memorable qualities of Mandina, the lodges were featured in the book '1001 Escapes To Make Before You Die', and for many, an escape to Mandina is one they’ll wish to repeat endlessly during their lifetime, a viewpoint that Chris Packham endorses fully. 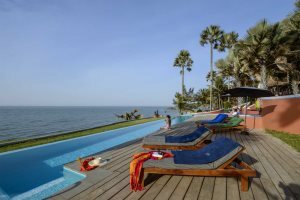 Award-winning Ngala Lodge is situated between the coastal resorts of Bakau and Fajara, and over the years, it has gained a well-deserved reputation for excellent standards and service. As a child-free property, the palm-filled tropical gardens remain peaceful throughout the day, with ample space to find your own secluded spot in which to enjoy a relaxing drink and your favourite book. Plus, you’ll discover several bird feeding points dotted throughout the grounds, to ensure that local wildlife can also easily be enjoyed. One of the most rewarding features of any stay at Ngala Lodge can be found in sampling the delicious dishes dreamt up by the chef team in the renowned on-site restaurant. The elevated restaurant, led by Head Chef, Assan, and developed by English chef, Jonathan Groves, serves excellent food with daily specials, along with an extensive wine list to complement your meal. N.B. Due to the limited suites/lodges at these properties it is sometimes necessary to reverse the itinerary. *Although there is no rep service at Mandina Lodges you will be well looked after by Linda, Lawrence and their team. - The Mandina guides, whose extensive knowledge of the forest and its wildlife will keep you captivated and informed throughout your stay. Please note that it is normal practice to tip your guide. - The magical and serene atmosphere that is both enchanting and unforgettable. 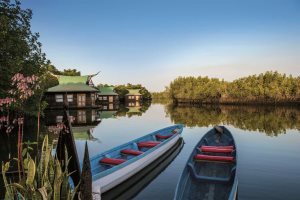 - All lodges, except the Mangrove Lodge, have open-air showers, while the Floating Lodges have specially designed, non-flushing toilets – neither of these features detract from the overall high standard of accommodation. - Everything! 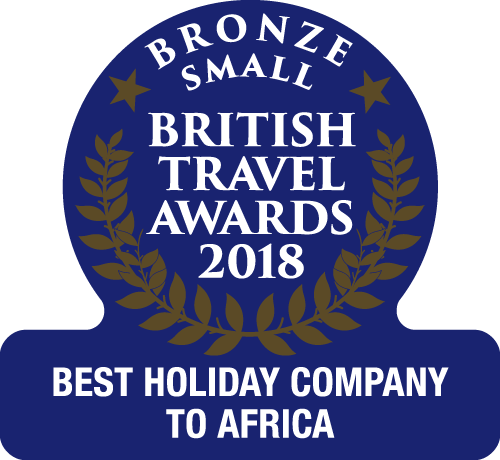 This hotel repeatedly wins the TripAdvisor Certificate of Excellence award, consistently ranking as the number 1 place to stay in The Gambia. - The eclectic mix of art and sculpture, found within the suites, along with models of cows, penguins and hippos in the garden! - If you’re celebrating a special occasion, these are easily catered for. Be it a romantic dinner in the gardens or a celebratory cake, Ngala will help you celebrate. - A mobile phone is provided for internal use in all the suites.